Award-winning Nigerian TV presenter Stephanie Coker is set to launch a presenting course next month. The two-day course will feature intensive studies on how to be a presenter, some of which will focus on using a teleprompter, script writing, studio and location presenting and interview techniques. According to Coker, the maiden edition of the programme aims to teach participants what it takes to be a TV presenter in the digital era. It will take place on September 1 and 2 costing N50,000 (US$138). Those interested can apply by registering here. The masterclass comes a few months after TV presenter Bolanle Olukanni also launched a similar course teaching the right approach to TV presenting. Coker began her media career in 2011 as an anchor of the Street Request show on MTV Base Africa. Since then, she has acted as co-host on several platforms, such as MTV Big Friday Show, EbonyLife TV and The Voice Nigeria. She is presently a co-host of The Morning Show on Arise News. The countdown to the 2018 Africa Magic Viewers’ Choice Awards (AMVCA) has begun with the announcement of nominees in the various award categories. Nigerian comedian Bovi and Ghanian actress Joselyn Dumas unveiled the nominees on Africa Magic channels available on DSTV and GOtv. The 27 award categories include Best Short Film or Online Video, Best Movie East Africa, Best Movie Southern Africa, Best Overall Movie and Best Television Series. 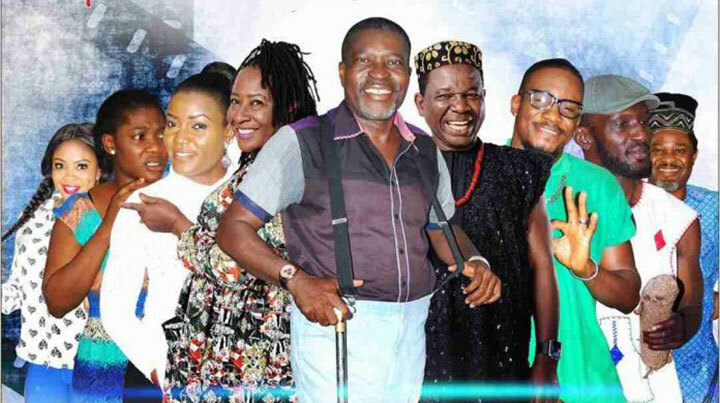 The nominees in the Best Television Series category are Gina & Friends, Professor Johnbull, Papa Ajasco Reloaded, This Is It and Relatives. Other nominees include Bolanle Olukanni for her documentary God’s Wives, actor Toyin Aimakhu for her role in Tatu and Ik Ogbonna for his role in Excess Luggage. Voting has begun and will end on August 24. Voting can only be done via the Africa Magic website. The sixth edition of the AMVCAs is set to be held on September 1. “Success is a function of persistence and doggedness. Never, ever take no for an answer; keep pushing until you get results.” Mo Abudu. Content Nigeria is celebrating International Women’s Day this month by focusing on notable women in the country’s TV industry. We kick off with Mo Abudu, a woman whose tenacity, zeal and passion have helped her to break through frontiers in the world of media. Veering into the world of broadcasting from unrelated business ventures such as human resources (HR) and hotel management, Mosunmola Abudu has proven to the world that she achieves whatever she sets her mind to. Abudu, 53, popularly known as Mo Abudu, is one of Africa’s leading media moguls and a philanthropist. She gained a master’s degree in HR management from the University of Westminster in London. Afterwards, she worked at ExxonMobil for 10 years as the head of HR before starting up her HR development company, Vic Lawrence & Associates. However, she later sought to pursue her dreams of becoming a TV presenter by going to the London Film School. 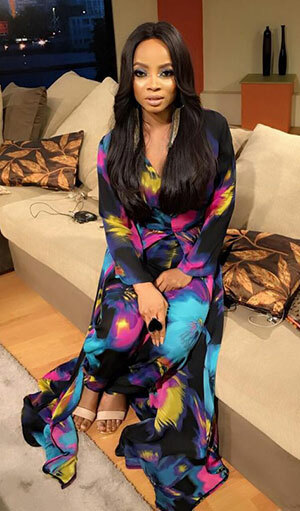 Upon gaining a degree, Abudu launched her TV talkshow, Moments With Mo, in 2009. She interviewed many notable personalities, such as Wole Soyinka, Hillary Clinton, Mohammadu Buhari, Olusegun Obasanjo and General Ibrahim Babangida. Her talkshow addressed a range of topics, from lifestyle to politics. Moments With Mo later became the first syndicated TV talkshow on African regional television. It airs in more than 40 countries across Africa, as well as on EbonyLife TV hosted by Vimbai Mutinhiri, Bolanle Olukanni and Tallaulah Doherty. Abudu was the brains behind the now defunct reality TV show The Debaters, a competitive show where participants live together for 13 weeks and debate topical issues and the winner was given a cash prize. The Debaters aired for three seasons. In 2013, Abudu became the first African woman to own a TV network, EbonyLife TV. EbonyLife airs original programmes and TV drama series such as Moments, EL Now, Men’s Corner, Sons of The Caliphate and Fifty. In 2014, she debuted her first film, Fifty, at the Toronto Film Festival, to much acclaim. In 2016, EbonyLife Films coproduced The Wedding Party, a movie that still holds the record for being the highest grossing film in Nigeria. Its sequel premiered in Dubai in December 2017 and was also a record hit. 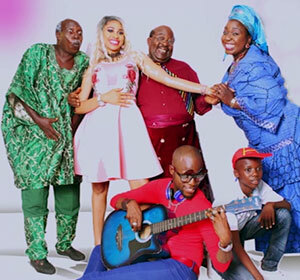 Abudu was also behind Desperate Housewives Africa, a pan-African adaptation of popular US drama series Desperate Housewives, as executive producer. Furthermore, The Royal Hibiscus Hotel recently premiered at the Toronto Film Festival and is currently in cinemas across the country. Abudu has been described has ‘Africa’s Oprah’ and Forbes magazine recognised her as the first African woman to own a pan-African TV channel. She was also listed in the Hollywood Reporter has one of 25 most powerful women in global TV. Abudu has received numerous honours, such as the Institute of Directors Fellowship Award and Entrepreneurial Award (2017), City People Movie Special Recognition Award(2017 and 2015) and City People Movie Award for Best Movie Producer of the Year (2017). Abudu continues to scale heights few dare dream about. She is fearless, always looking for the next mountain to climb and can’t wait to see and experience what’s in store next. 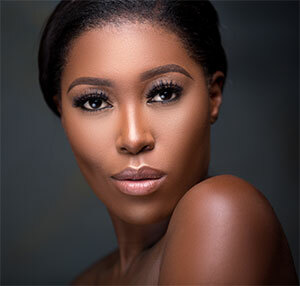 Nigerian broadcaster Ebonylife TV has announced that Vimbai Mutinhiri will replace Toke Makinwa as co-host of its Friday night chatshow Moments. A former Big Brother Africa housemate and Zimbabwean TV personality, Mutinhiri will join Moments to co-host alongside Bolanle Olukanni and Tallulah Doherty, beginning the fourth season of Moments with a new face. Content Nigeria reported the departure of Mackinaw here yesterday. The new season promises more interviews looking at African culture and workplace drama. Moments is a spin-off from Moments with Mo and airs on Ebonylife TV via DSTV channel 165 on Fridays at 22.00.